The project at Central Avenue relates to the extension and re-modelling of an existing 1930’s detached dwelling located in the market town of Beverley, in the East Riding of Yorkshire. 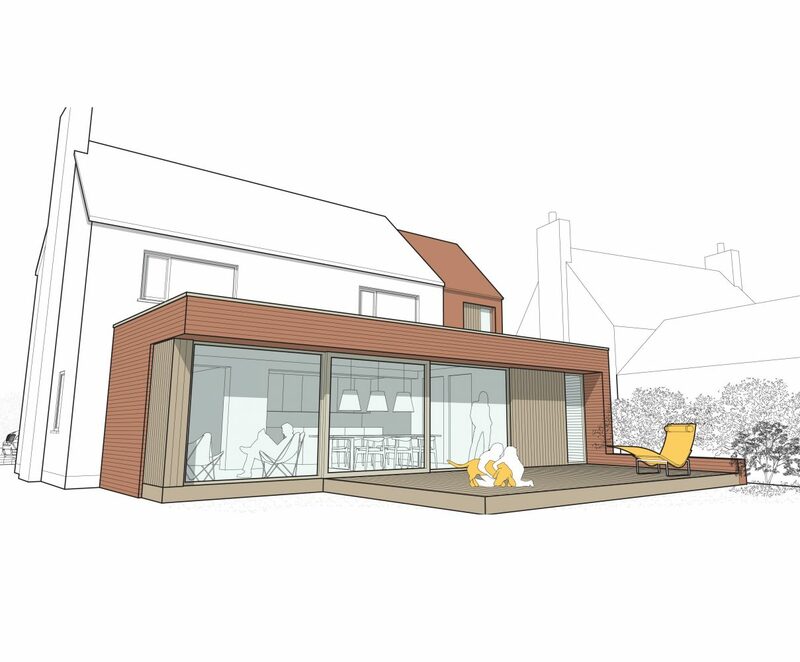 A series of existing, poor quality, rear extensions are proposed to be demolished and replaced with a contemporary extension consisting of a two storey element to the side of the existing dwelling, and a single storey element along the rear. At ground floor level the rear extension will provide a Home Office for the family and an open plan Kitchen and dining area, focussed upon the garden to the rear of the property. At first floor level additional Bedroom accommodation will be provided in the extension to the side of the property.